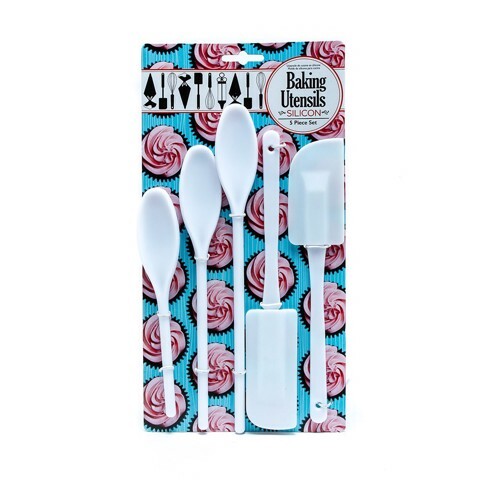 Spoon & Spatula Silicon 5Pc Set. Spatulas 24-25.5cm l Spoons 19-23.5-27.5cm l Heads 9 x 4.5cm l 10 x 4cm. White. PP. 140G Packaging: Blister Card.